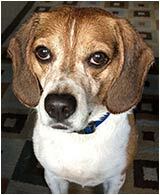 Meet Jackson Spec, an adorable 10 year old Beagle who is brand new to Louisville. Jackson loves his new home, especially his walks on on the Coal Creek Trail and meeting all his fellow Downtown dogs at Community Park. You won’t find Jackson doing much swimming at the Dog Park, but you can be sure he won't miss a smell. Make sure to say hi if you see Jackson and owner Sarah! With elements of Queen Anne style architecture, this home and independent summer kitchen were built circa 1904. The City of Louisville moved the structures from 1100 La Farge Ave. to the Louisville Historical Museum campus. Bonus: A replica of early 20th century downtown Louisville is open for viewing in the homes living room. ...this is why we do what we do.” So says MarchFourth’s June 17 Facebook post. Summer 2016 started with a parade down Main street featuring the always amazing M4 and supported by several hundred of their closest friends. What a gas. Hot Buttered Rum got their groove going on a beautiful summer night June 24. In our humble opinion, this world can’t go wrong with a few more love fests. See all you flower children soon. Wanna dance? Nathan is the real Louisiana deal: fully endorsed by the Colorado Zydeco Club, a group that does not tolerate poseurs. The American Cancer Society (ACS) Relay for Life of East Boulder is looking for new teams and volunteers for the annual fundraising event to fight cancer. The event will take place Saturday, August 6, 2016 from 6 pm - 6 am at Waneka Lake in Lafayette. It is free and open to the public and held rain or shine.. 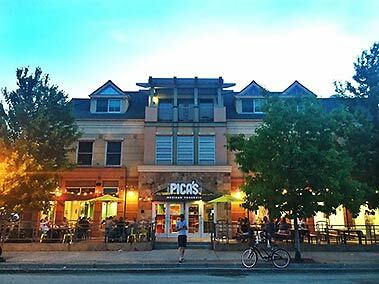 If you haven’t heard yet, PICA’s is NOW OPEN! The terrific taqueria has a variety of great Mexican food and craft brews, so get over there and get some tasty grub! Hours are Monday-Sunday 11am-10pm. Congratulations to Achtermann Chiropractic for celebrating 21 years of business in downtown Louisville this year! The office has a unique integrated approach to natural healthcare with two very qualified Chiropractors. Dr. Karen Achtermann graduated from Logan College in 1994 and is advanced certified in the low force Activator technique, uses traditional hands on adjusting, and is also certified in Acupuncture. Dr. Martin Achtermann graduated from Logan College in 1995 and specializes in hands-on adjusting as well as low force Activator. They also have massage therapy on site to complement patient care. The Achtermanns are currently taking new patients and say, “We love being a part of this vibrant, healthy conscious community.” And we love having them! Louisville Arts Center, 801 Grant Ave.
Creative Framing will host a reception on First Friday Art Walk to kick off its July - August Art Show. 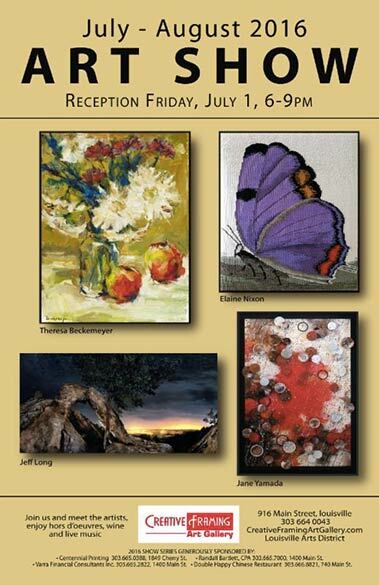 The show features the works of Theresa Beckmeye, Jeff Longs, Jane Yamada and Elaine Nixon. Meet the artists and enjoy hors d’oeuvres and live music. It’s My Birthday!! I am six years old now. 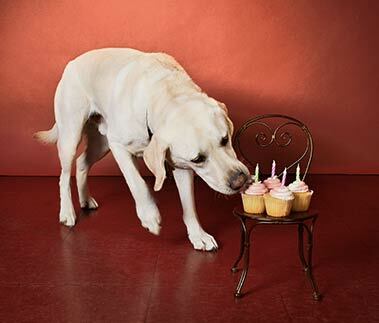 Stop by my store, (well, its Julie’s too) during the First Friday Art Walk to share some birthday cake with me and see the new line of my special “Cooper” greeting cards. Can’t wait to see you! LAA is hosting an exhibit at the Louisville library on art that reflects people’s heritage called From Whence We Come. It runs the entire month of July and is open to the public. Like yoga? Like great craft beer? Then you'll love Poses and Pints! 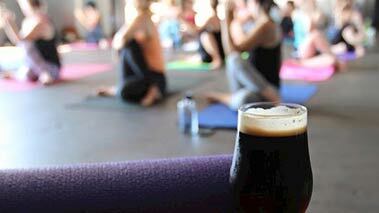 Join Martha Conrad from Yoga Junction for some local brew and local laughs at Gravity brewery! Loosen your body and relax your mind with a 60-minute all levels yoga class, and afterwards enjoy your choice of a pint or three tasters of Gravity beer. Sure to sweeten your night, this is another in the series of programs based on the theme of Louisville’s Larder, which features agriculture, restaurants, the history of Italian influence on the local food culture, and a look at a typical family’s kitchen, garden, and larder. This year, the Methodist Church at 741 Jefferson Avenue in Louisville is celebrating a birthday—its 125th! For this program, members of the congregation will portray early Louisville residents, such as Tom Carlton and Mary Thomas, who were among the founders of Louisville’s Methodist Church. All The Light We Cannot See, a Pulitzer Prize work of historic fiction by Anthony Doerr, is this year’s selection for the sixth annual On The Same Page community one-book event. The Louisville and Lafayette libraries have purchased more than 100 copies of the book in various formats. Programs begin in September, so there’s plenty of time to read the book and be ready to participate in book discussions.